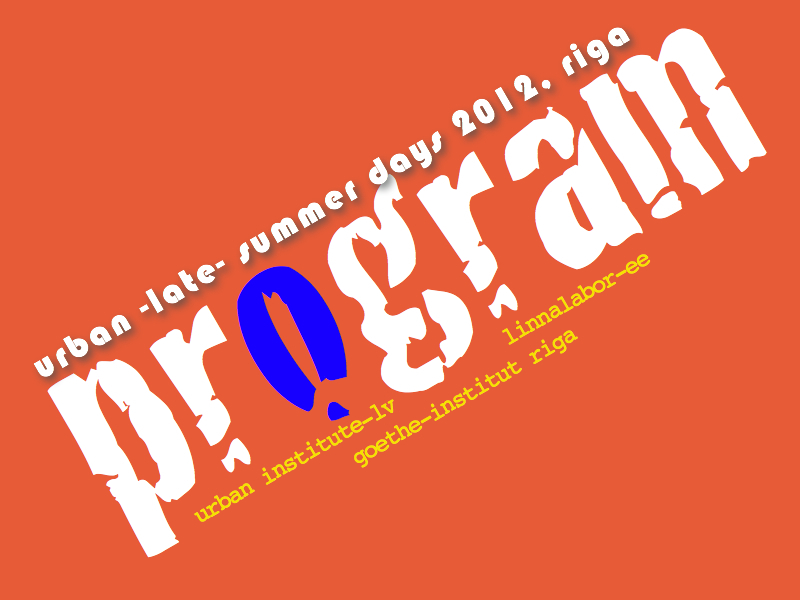 On 15-16 September 2012, our Latvian partners have arranged “Urban-late summer days 2012” in Riga, inviting urbanists and activists from Baltic region to join a growing regional network. “Urban days” is an annual event, which was launched in Estonia in 2011. This event was a good opportunity for Lithuanian and Latvian teams to discuss further plans on collaborative research in neighbourhood areas in Riga and Vilnius, focused on communication tools and methods, used in developing neighbourhood communities. This research is being developed in collaboration between Urban Institute (in Riga), Laimikis.lt (in Vilnius) and Linnalabor (in Tartu). During “Urban days 2012” each participating organization from Estonia, Lithuania and Latvia presented their current projects, in many of which the ways of everyday use of city spaces are re-examined. Laimikis.lt has presented a recently developed project, “Street Komoda“, as a tool for building a citizen net for sharing small things and books, using street intervention.